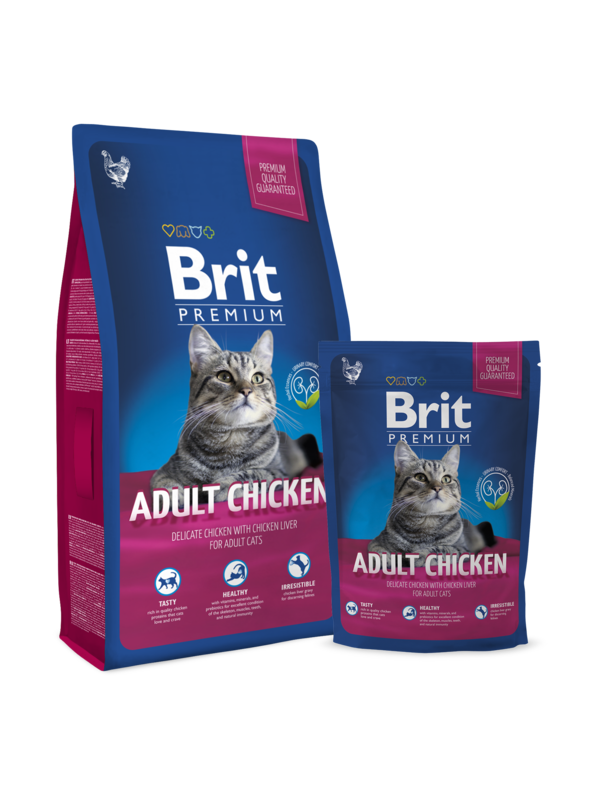 Delicate chicken with chicken liver for adult cats. chicken 40% (chicken dried 20%, chicken meat meal 20%), rice, chicken fat (preserved with tocopherols), corn, brewer’s yeast, chicken liver gravy 4%, salmon oil 1%, dried beet pulp, dried dandelion 0,25%, prebiotics (mannan-oligosaccharides 140 mg/kg, fructo-oligosaccharides 110 mg/kg), yucca schidigera extract (75 mg/kg), fruit and herbal extract (rosemary, cloves, citrus, curcuma, 55 mg/kg). crude protein 35.0%, fat content 15.0%, crude fiber 2.5%, crude ash 6.5%, moisture 10.0%, calcium 1.3%, phosphorus 1.0%, sodium 0.3%, magnesium 0.08%. vitamin A (E672) 20,000 I.U., vitamin D3 (E671) 800 I.U., vitamin E (3a700) 500 mg, vitamin C (E300) 200 mg, taurine 2,000 mg, choline chloride 1,800 mg, L-carnitine 50 mg, niacin 35 mg, biotin 1.5 mg, zinc (E6) 130 mg, manganese (E5) 50 mg, iron (E1) 40 mg, copper (E4) 10 mg, iodine (E2) 3.2 mg, selenium (E8) 0.2 mg, DL-methionine (3c301) 12 mg, arginine (3c3.6.1) 9 mg, L-lysine (3.2.3.) 8 mg.
3,800 kcal/kg. Omega-3: 0.22%, Omega-6: 1.7%.